Facility is good. Good for big family. Kitchen is good. Area and view were good. Always the the best my favorite place. In middle of mountains Amazing greenery Amazing challets Perfect for large groups and family Barbecue section in the chalets garden it self. I loved every bit of my stay here. 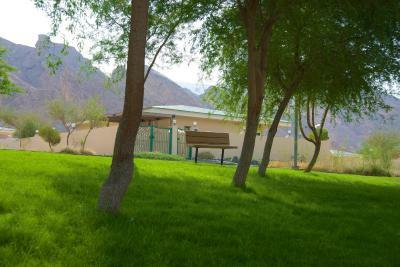 Location is excellent right near Jebel Hafeet mountain driver and the park. 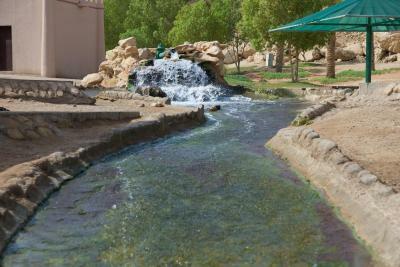 Also can get to Al Ain Oasis very easily which is worth a trip. Chalets are spacious and comfortable. Recommend a drive up the mountain and a trip to the oasis. Chalets are nice and quiet and relaxing. 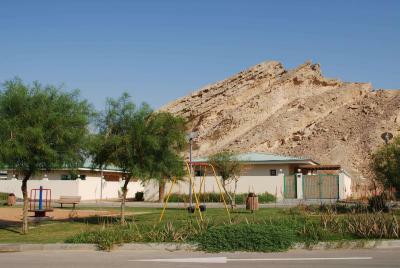 We liked the location, it's near Al Mubazzra and Hafeet Mountain, it's our second visit. the Chalets doesn't have restaurant, it has a kitchen and you need to prepare your own food or buy it from the restaurants. they have a house keeping service of course. I liked the location and they changed the air conditioners at the chalets. 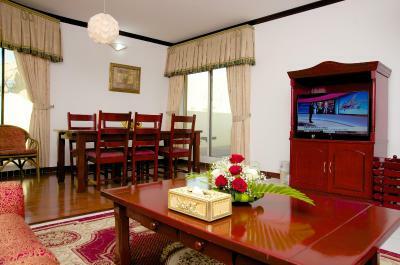 Spacious & well furnished until kitchen utensils, we can cook. The arrangements of the block are great they dont rent for families near bachelors and making parties is prohibited also when walking in the villa you have privacy. 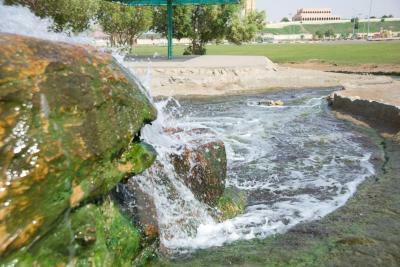 Offering natural hot springs, Green Mubazzarah is located in Al Ain in the Abu Dhabi Emirate Region. Green Mubazzarah Chalets features terrace. 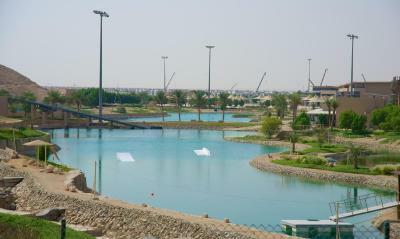 The adrenaline-packed Wadi Adventure is 1.2 mi away. 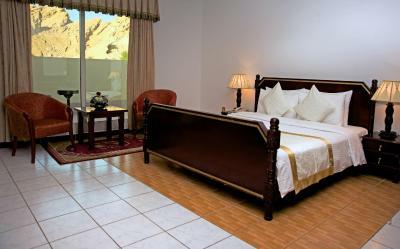 The accommodations is air conditioned and features a living room with a satellite TV and a dining table. There is also a kitchen with a microwave and a refrigerator. 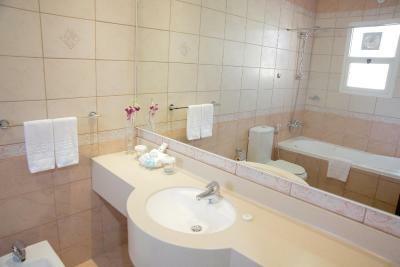 The bathroom offers a hairdryer and free toiletries. 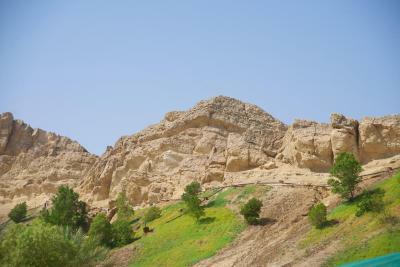 Palace Museum is 7.5 mi from Green Mubazzarah Chalets. 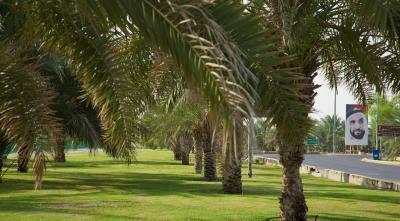 Alain Classic Cars Museum is a 9-minute drive away. 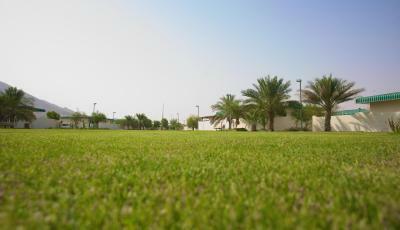 Al Ain International Airport is 26.5 from the property. 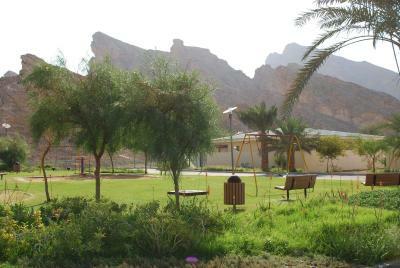 When would you like to stay at Green Mubazzarah Chalets? 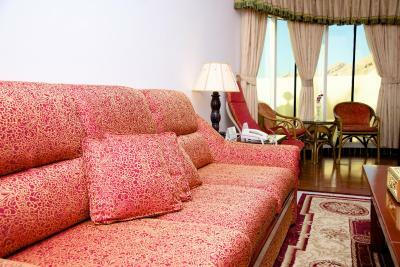 This apartment is air conditioned and features a living room with a satellite TV and a dining table. There is also a kitchen with a microwave and a refrigerator. The bathroom offers a hairdryer and free toiletries. 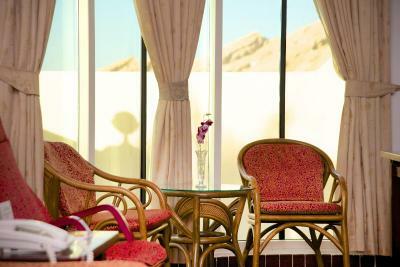 One-Bedroom Chalet - with Al Ain Zoo or Wadi Adventure Ticket. 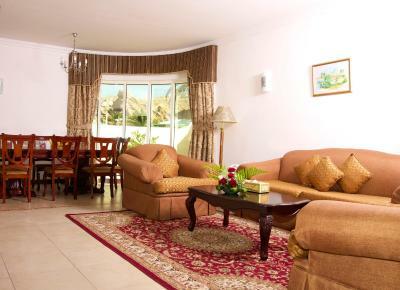 This chalet features a private entrance, air conditioning and seating area. 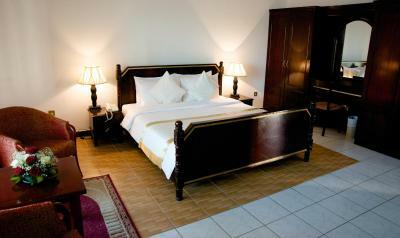 Chalet Stay with Mini Train or Hot-Spring Pool Access. This chalet features a balcony, electric kettle and dining area. 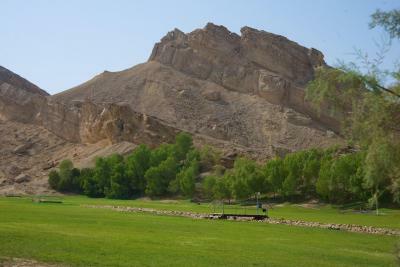 House Rules Green Mubazzarah Chalets takes special requests – add in the next step! 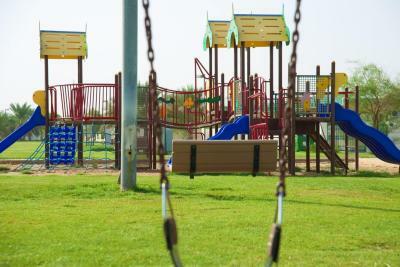 All children under 12 years are charged AED 58 per night for extra beds. 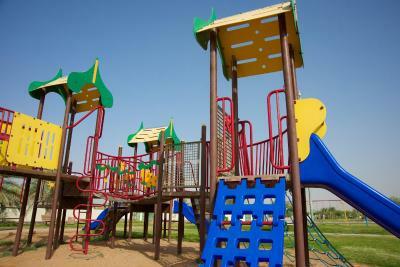 Any additional older children or adults are charged AED 58 per night for extra beds. 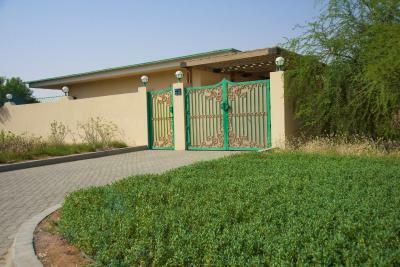 Green Mubazzarah Chalets accepts these cards and reserves the right to temporarily hold an amount prior to arrival. Please note that WiFi is for a max of 6 devices throughout the property. 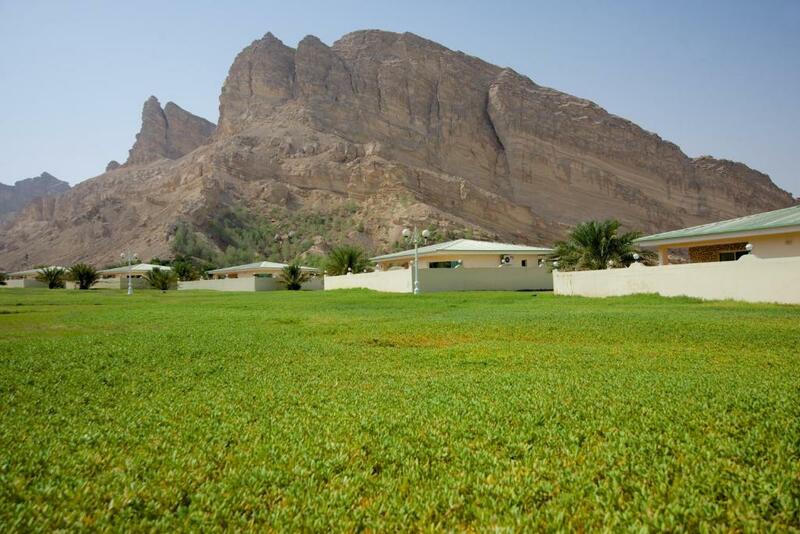 Please inform Green Mubazzarah Chalets of your expected arrival time in advance. You can use the Special Requests box when booking, or contact the property directly using the contact details in your confirmation. Everything. From the reception team to the staff of housekeeping. It’s somehow hard to flush the water in the toilets. Additionally, water got stuck in the wash basin in the washroom, this needs to unclog and fix sink water stuck with plumbing. This place is very active and gets busier during winter season. 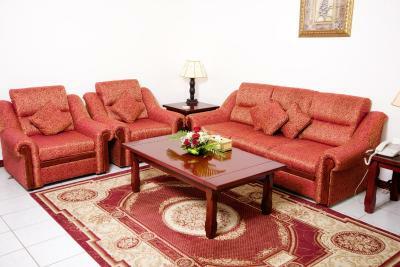 Available furniture is for heavy duty usage but not the sofas. Sofas were in bad shape and need to be changed. The whole experience was amazing. The chalet is a perfect size. I really enjoyed my time in the terrace which was perfect for barbecue. 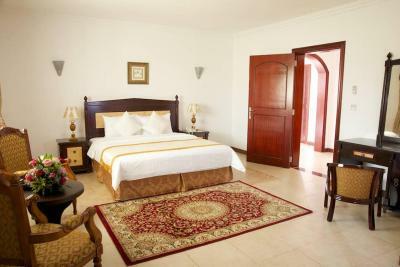 Spacious, clean rooms. Barbecue grill available outside . Best location, fresh air and calm place⛰.